This is an incredible charity design project that I had the pleasure and privilege of being a part of…A community of 70 military homes in San Pedro (about 30 minutes south of L.A.) had been vacant for decades and a group of ambitious and resourceful people, together with Volunteers of America, got permission to reclaim the homes, refurbish and decorate them for homeless female veterans and their children. It’s devastating that there is a population of homeless veteran mothers at all – to have an opportunity to be part of this project was humbling. Volunteers of America secured $5000 for the decor of each of the homes. And for any of you who may have done any decorating, $5000 is a lot of money, but not to decorate an entire two bedroom home. We needed to get everything from furniture to bedding, accessories, art and appliances. Many people spend that just on a sofa! 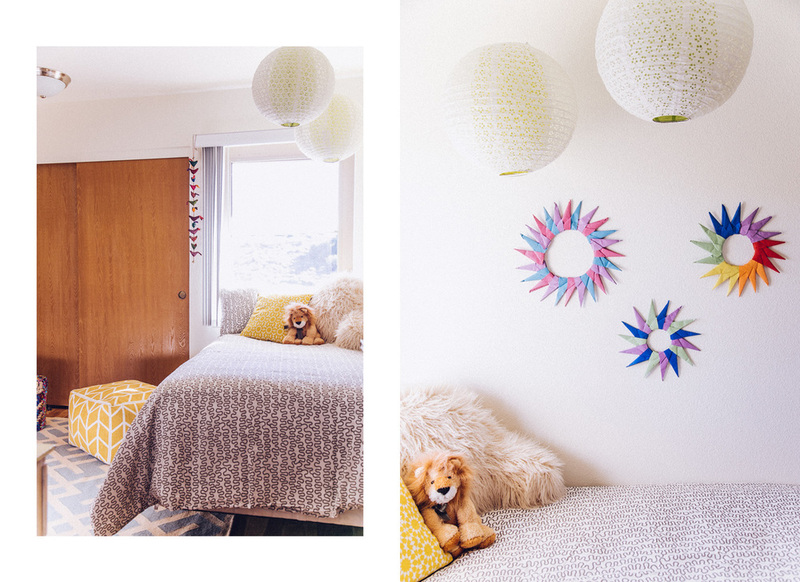 But, if you know me then you know that I love a good budget decor challenge…And to make matters even more exciting, I got to decorate one of the homes with my sister, Faith, who is also a designer, master thrifter and just all around extremely talented.